As a pet parent who spends way too much time obsessing over stuff that will never happen, there are two things I’m deeply concerned about: 1) the zombie apocalypse and 2) how to keep my dogs safe during the zombie apocalypse. So I’ve developed a plan for this on the off chance I run into walkers right away, like on a trip to the corner store. 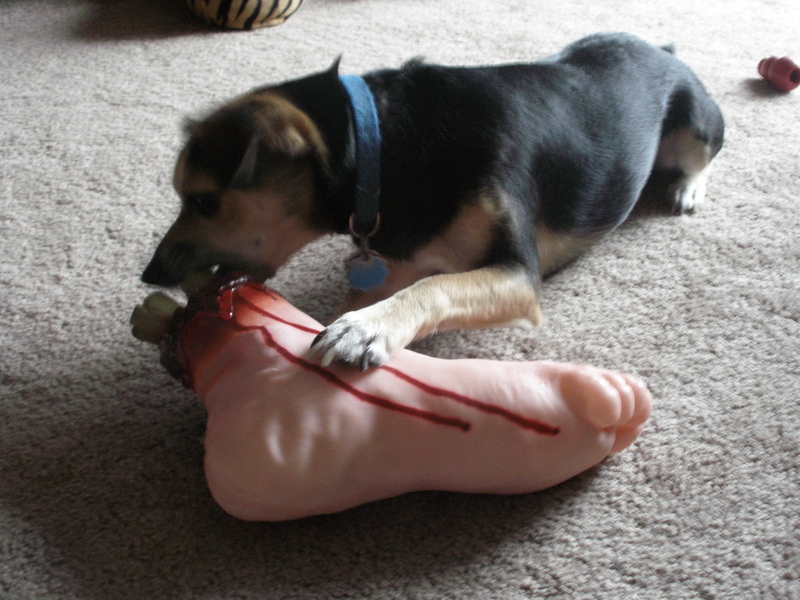 Here are seven tips to guarantee you and your dogs have a head start on the zombies. 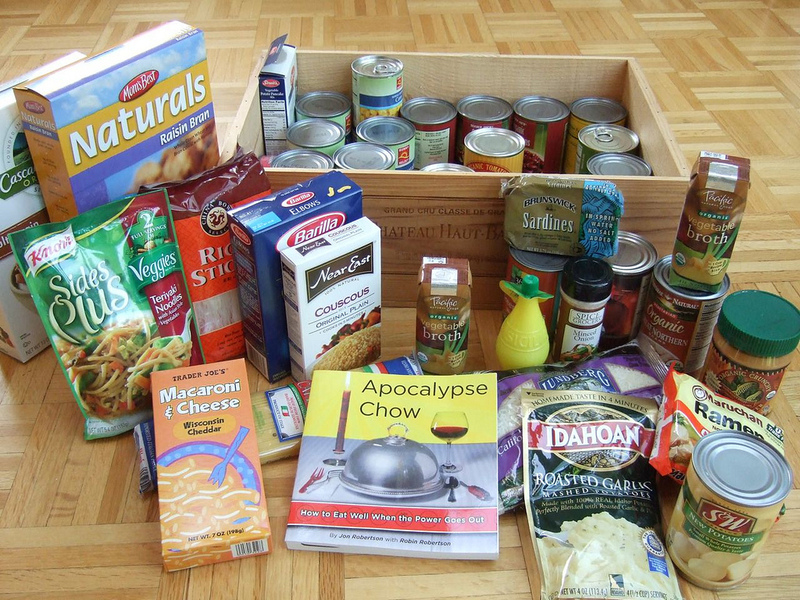 Your dogs need enough food for the early days of the apocalypse. 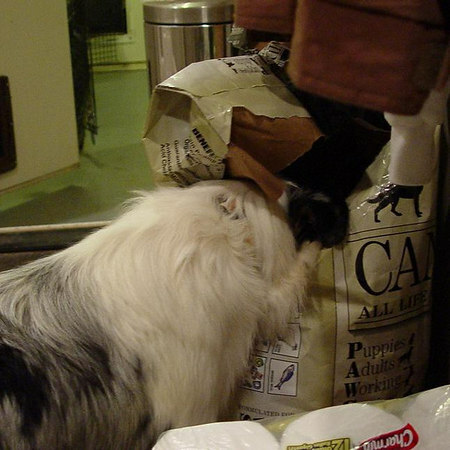 This is why you’ve bought kibble and treats in bulk: To leave bags and boxes in every room of the house for easy access. You can trust that they’ll knock over, pry open and chew through anything to get to their food, as long as you don’t have it locked away like it’s the Hope Diamond. Or even into the fridge. 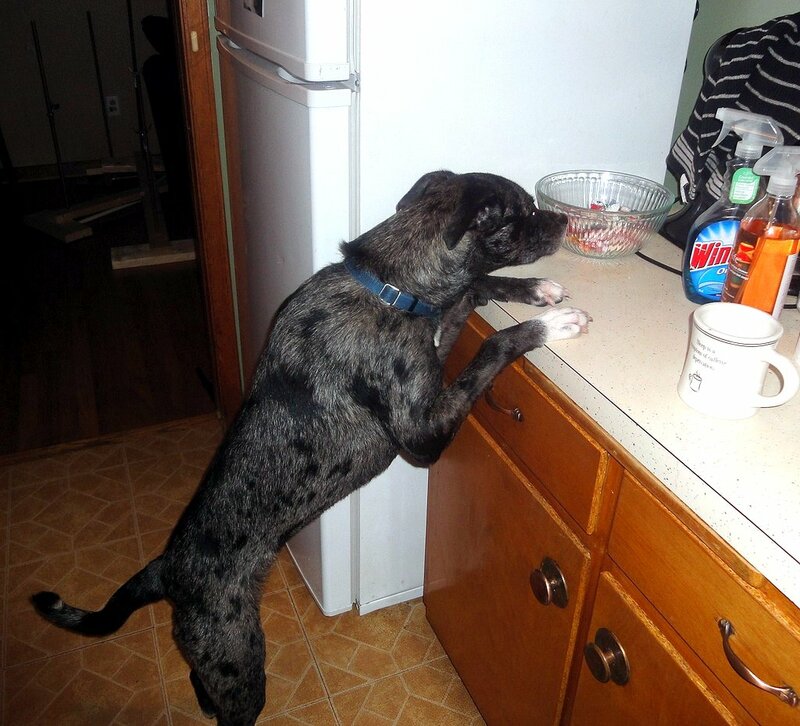 You could also practice counter-surfing encouragement for dogs that don’t come by it naturally. 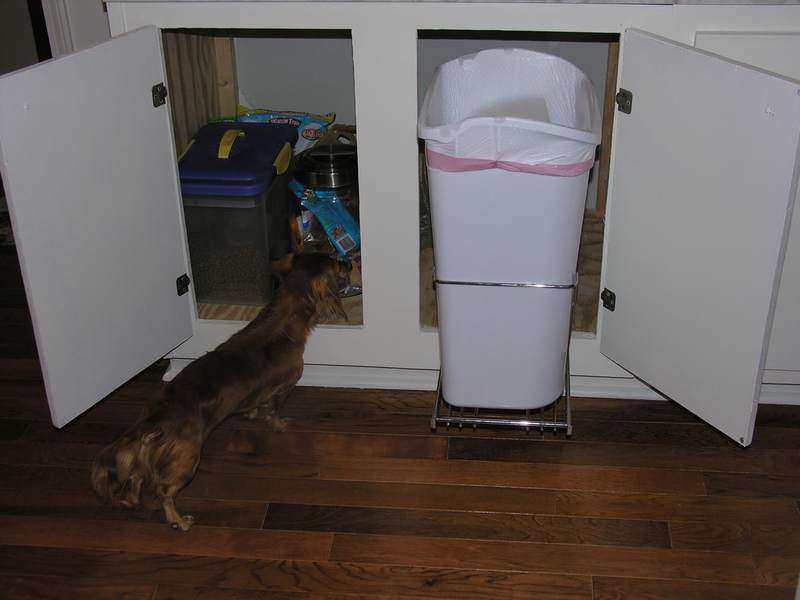 Most pet parents train their dogs not to drink from the toilet, but your dogs need that source of fresh water. Begin toilet training them now in ways you’d never otherwise consider: lift, drink, flush, repeat. Check out this video for starters. 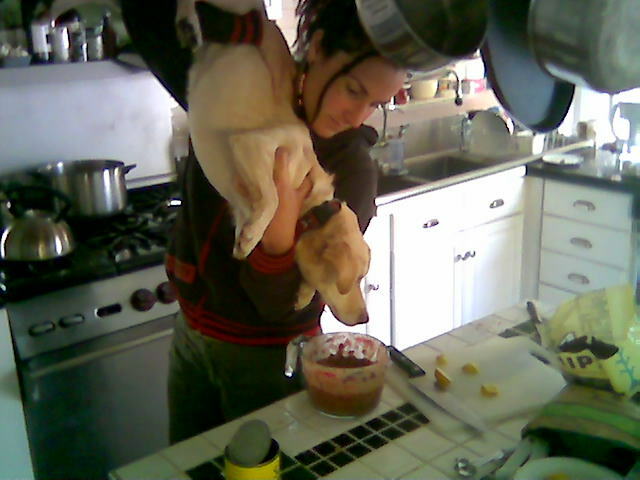 Teach the dogs that under no circumstances should they bite a walker. No one is sure if pets and other animals can be infected with zombie cooties but think: If they could, would you want to see this? This is a super-important lesson, and luckily it comes naturally. 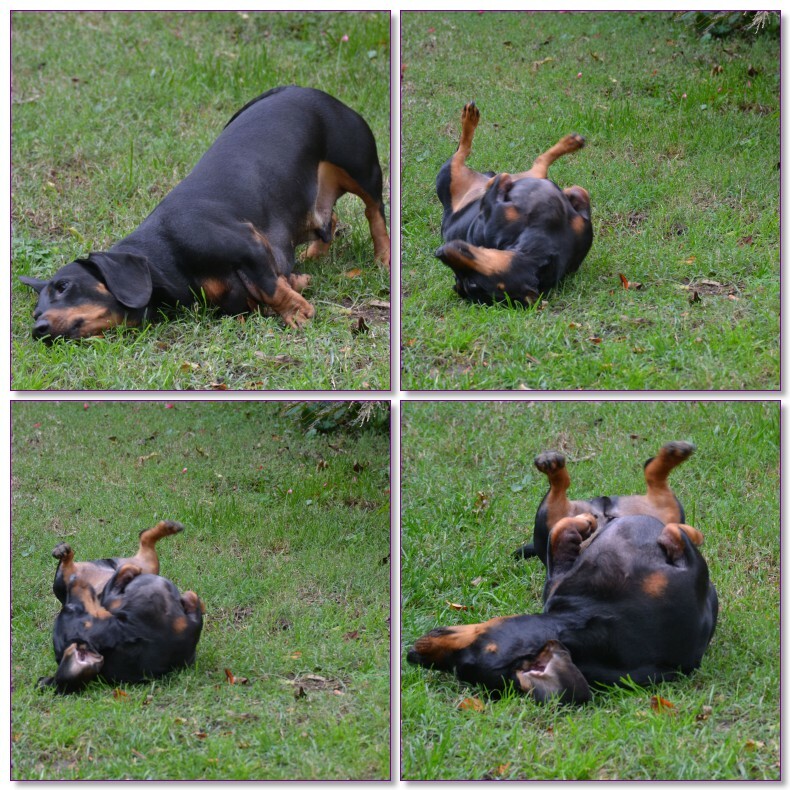 We’ve all seen our dogs do the stop, drop and roll. Stop: I smell something disgusting! Drop: I must schmooze my face alllll over it! Roll: I must embrace the full disgustingness of the stankiness with my entire body! Yes! Yessss! From this we get the perfect zombie disguise. This is the best disguise for your dogs to use against zombies because the dogs will now smell just like walkers. In an early Walking Dead episode, Rick and Glenn covered themselves in killed zombie guts so they could go out among the walkers undetected, and it worked. For full protection from zombie cooties, here’s where the onesies come in. You must train the dogs to roll in the nasty stuff only when they’re wearing their special apocalypse gear so that the gunk doesn’t get on their fur. 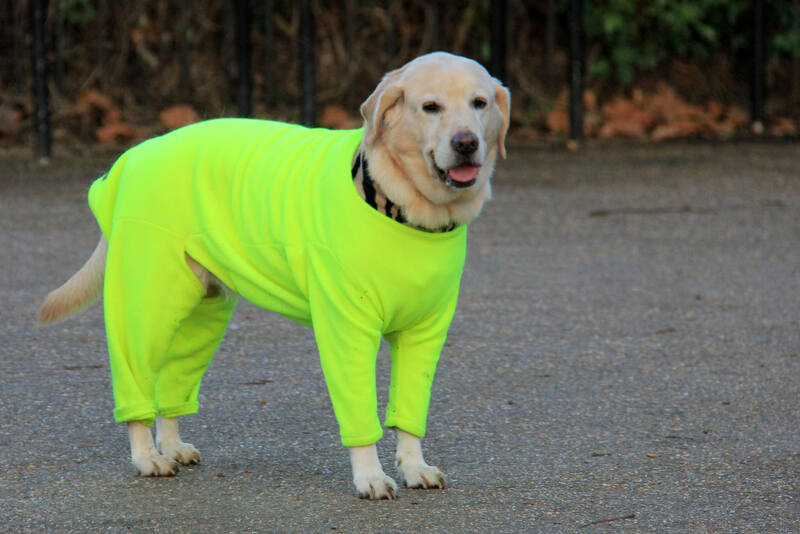 When the dog onesies are soaked in gross, stinky stuff, do not wash them. 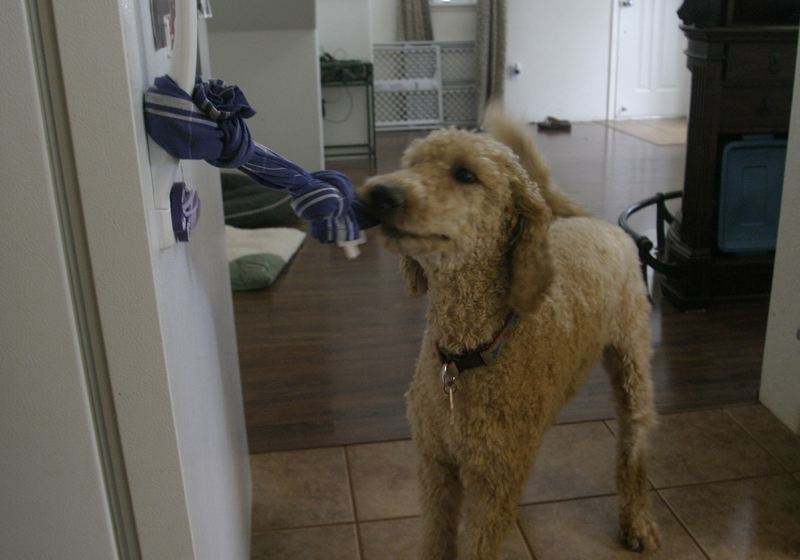 Simply hang them on low hooks around the house so your dogs can wriggle into them before venturing outside. Dogs can be taught to dress themselves — some even come by it naturally. Dogs can run circles around anything, so confusing walkers should be no problem. A single dog can circle a walker until it gets dizzy and falls over (the walker, not the dog), and two or more dogs can confuse an entire pack of walkers, giving the dogs plenty of time to make an escape. 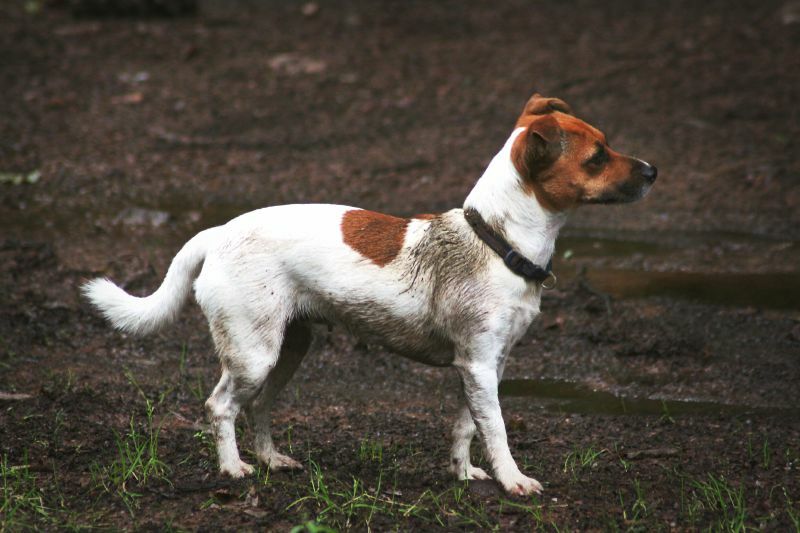 Even a medium-sized dog can knock over a healthy person, so with the right training, it can easily knock walkers over. 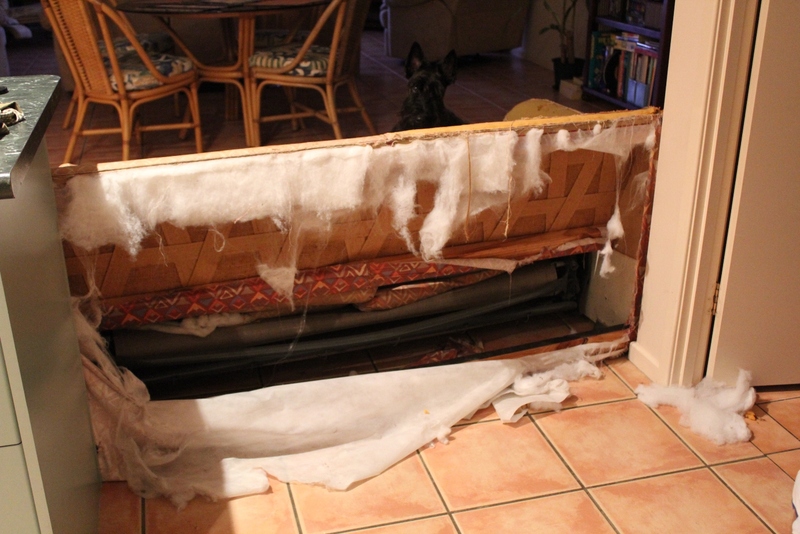 Our larger dog can hurl herself across the living room, land on a sofa weighing half a ton and shove it back toward the windows, creating an effective barricade. 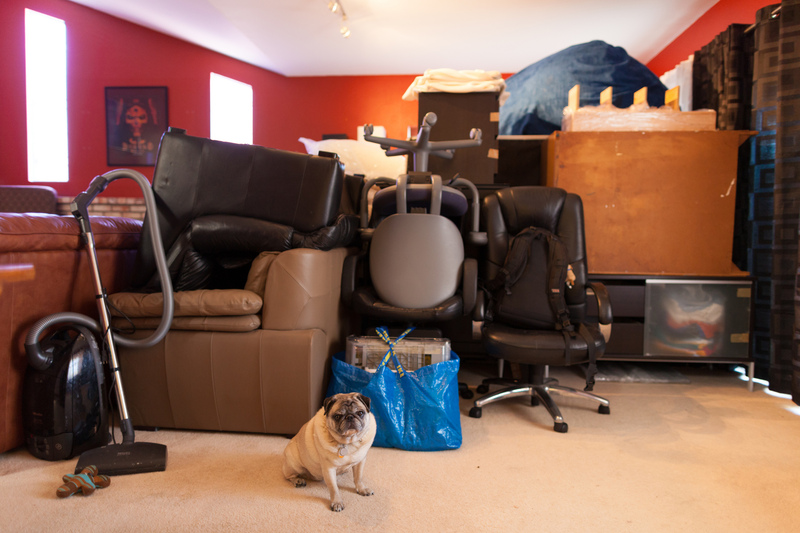 With your guidance, dogs can develop ideas on how to surf a sofa or bookcase or — with a little creativity — major appliance to block further walker access. So teaching them to pile furniture or other household objects in front of doors and windows should be easy enough. 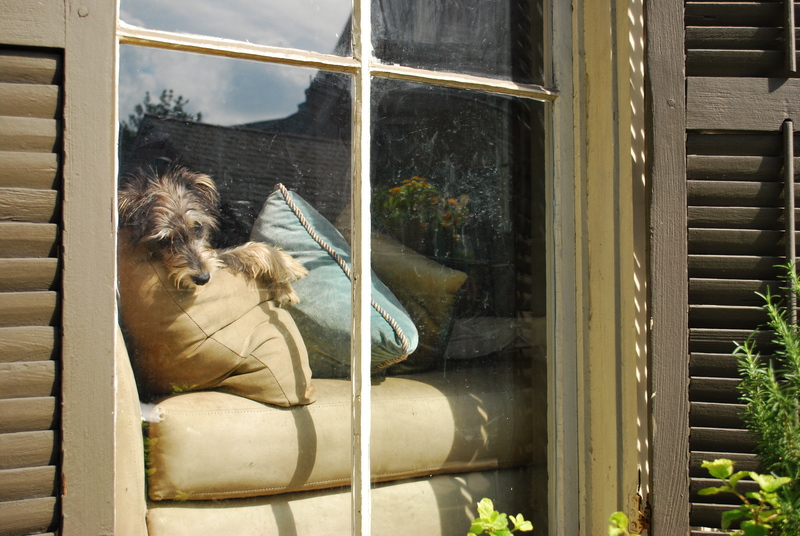 Once they’ve set up the house the way they like it, they’ll wait faithfully for your return. Congratulations! You made it through the first hours, days or even weeks, and now you’re home. 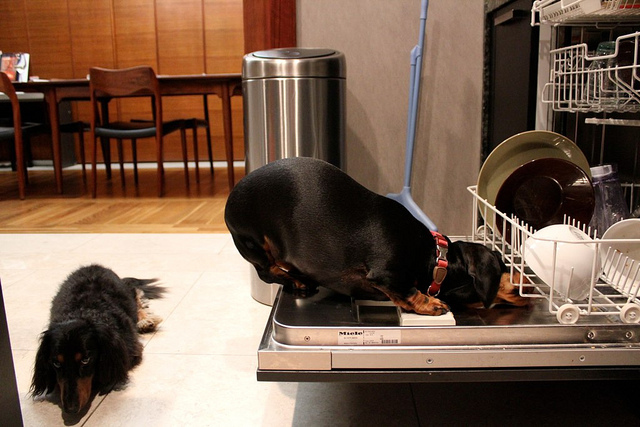 Your dogs have defended your abode with bravery and sheer animal desperation. 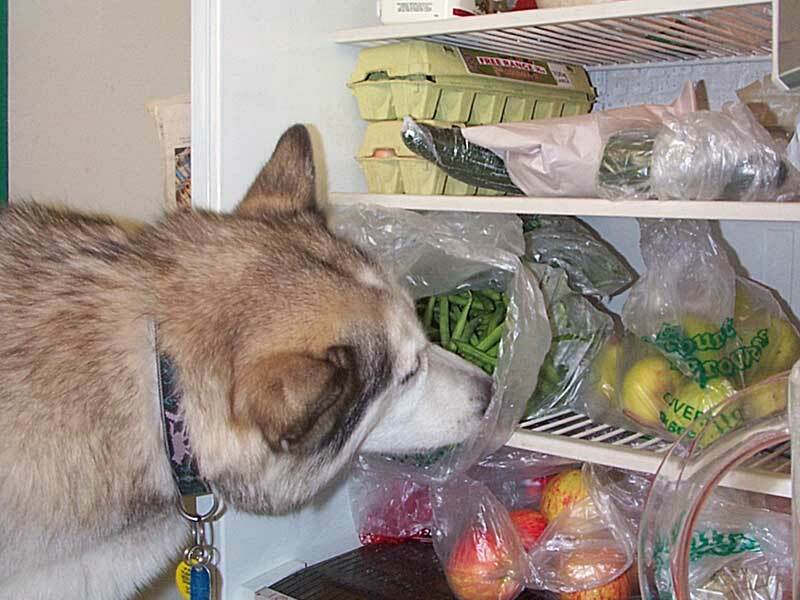 Along with zombie-proofing the perimeter, you can improve on the dogs’ attempt at home defense, reinforce their training and generally try to make sense of the new normal for yourself and your pets. With our pre-apocalypse tips and your guiding hand, you and your dogs can become a lean, mean, zombie-fighting team and survive and thrive until the cure is found. 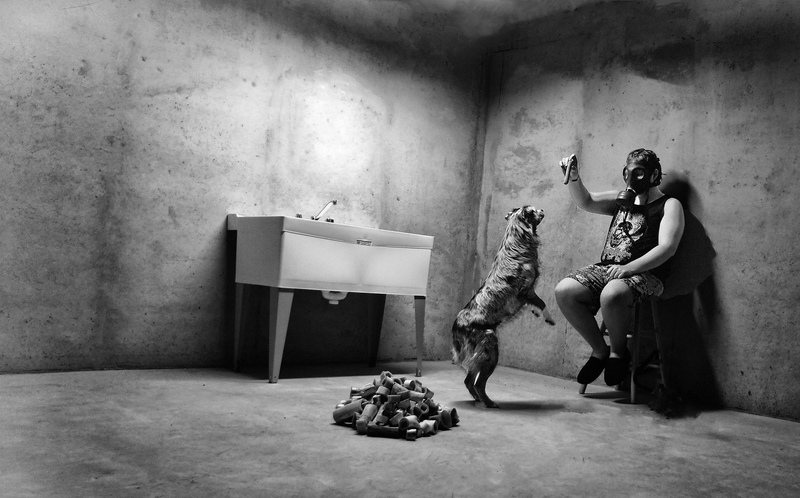 Tell us: What would you do to help your pets survive the zombie apocalypse?